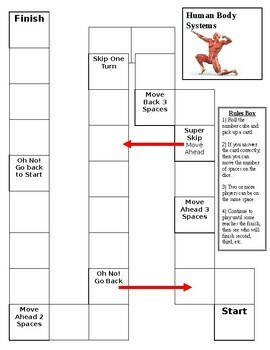 Board game template to review Human Body Systems. Can be used in conjunction with Human Body Systems Review Cards or your own materials. Game instructions included on board game.